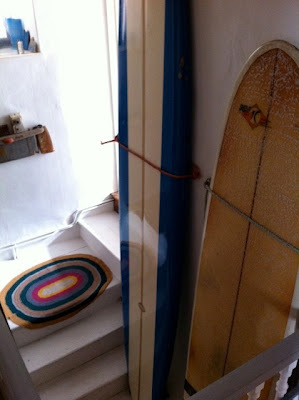 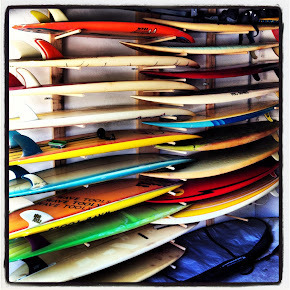 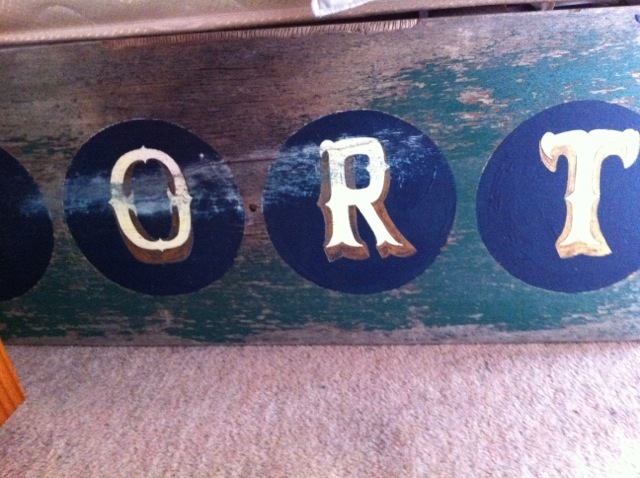 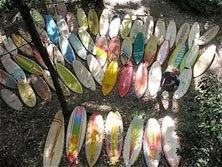 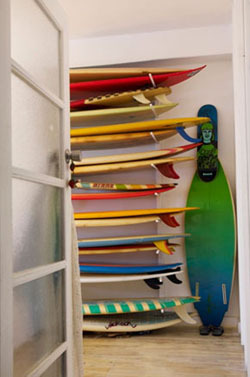 : Board Collector: Who's Skelly...? 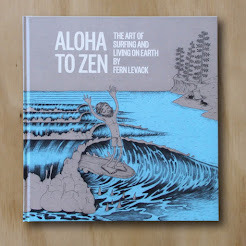 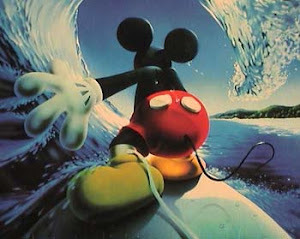 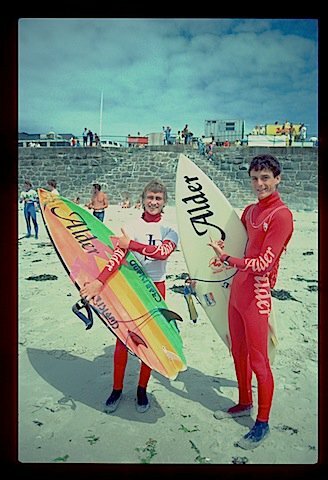 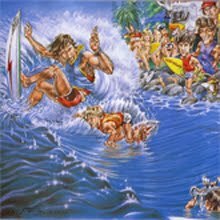 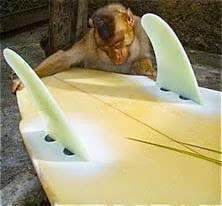 I started this blog because I didn’t have anyone to talk to about my passion for late 70’s and early 80’s surf board design. 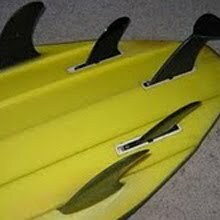 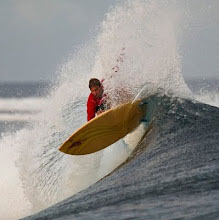 My wife and immediate family are very kind and supportive but their eyes would glaze over after an hour or two of me dribbling on about the differences in the two Col Smiths or the hydrodynamic principles that make a cut back on a twin fin so deeply satisfying. The most unexpected joy I have received in my life has come to me since starting this blog through the generous and interesting people I have met who have let me into their lives, their homes and their collections. 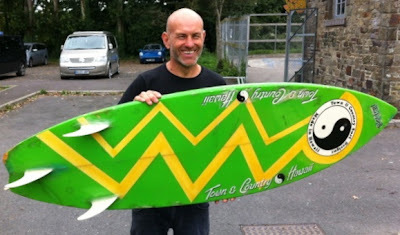 While in Devon at the Museum of British surfing surf swap organized by Alasdair from vintagesurfboardcollectoruk, I met Simon Skelton when we were both instantly attracted to a flouro green T and C as it came out of the back of an old Morris minor. 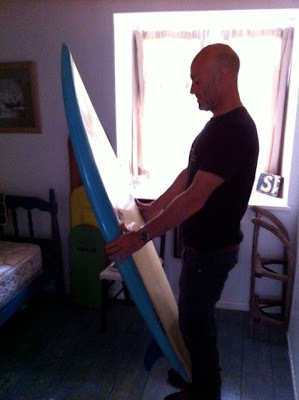 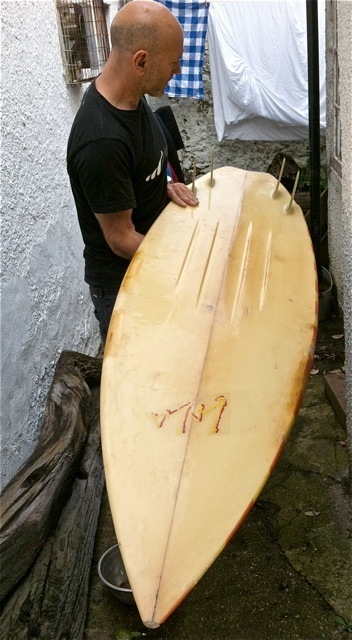 He invited me to his house and shared with me some of the most, no the most, exciting collection of UK innovation period surfboard design I’m likely to ever see. 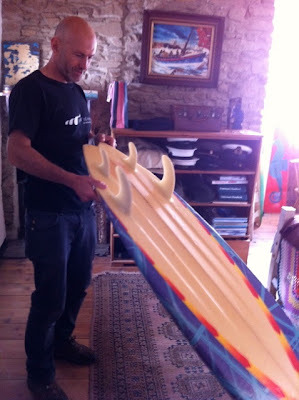 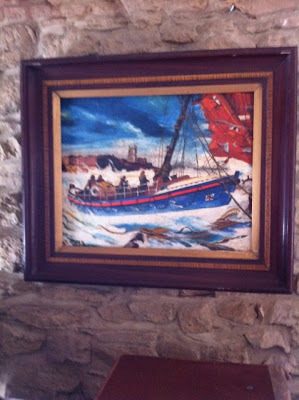 I was fascinated to learn of the importance of wooden surf-o-oplane to British surf history and I was jealous and in awe of his fantastic brightly coloured Adler logo Crawlyn Williams model Crab Islands. 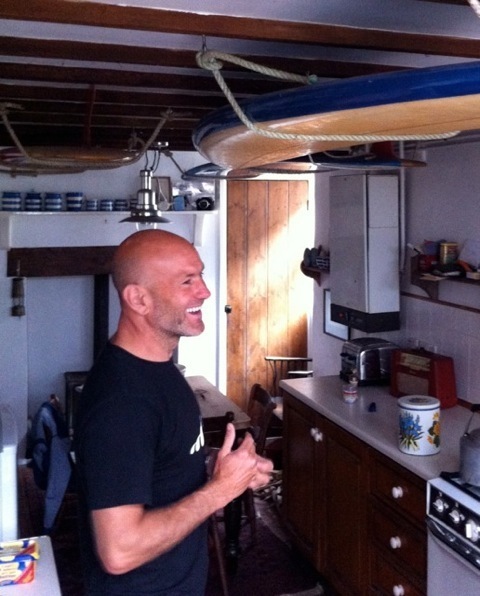 Simon's home is one of most characterful homes I've been in. 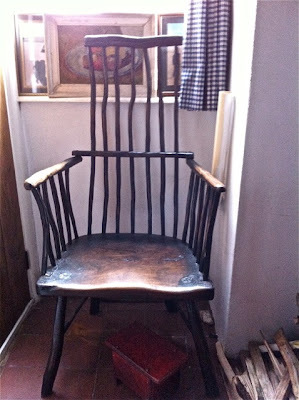 It was so full of history that its probably dates back to the time of William Shakespeare. The board above his head in the kitchen belonged to his old man. 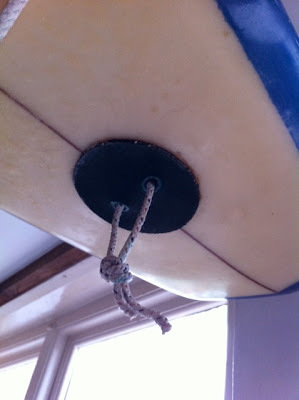 They "invented" their own leash plug in the 70's. 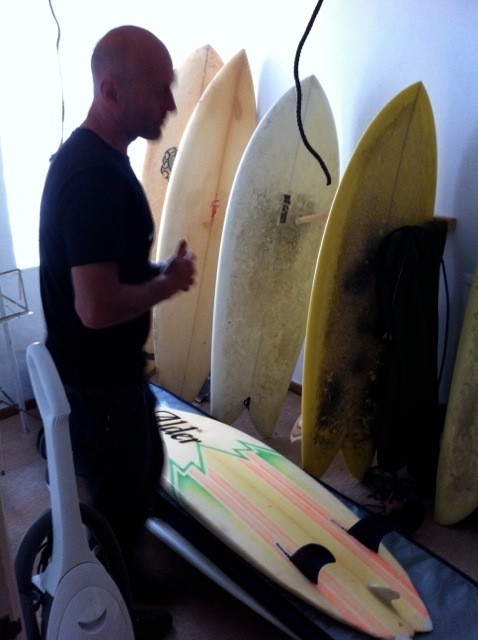 Every corner was packed with surfboards and art work. 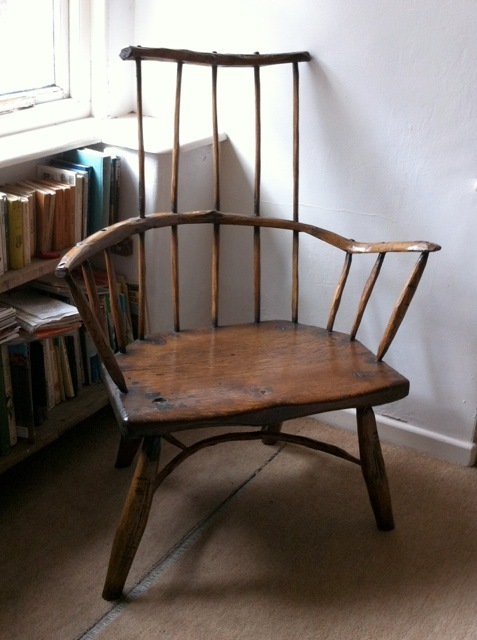 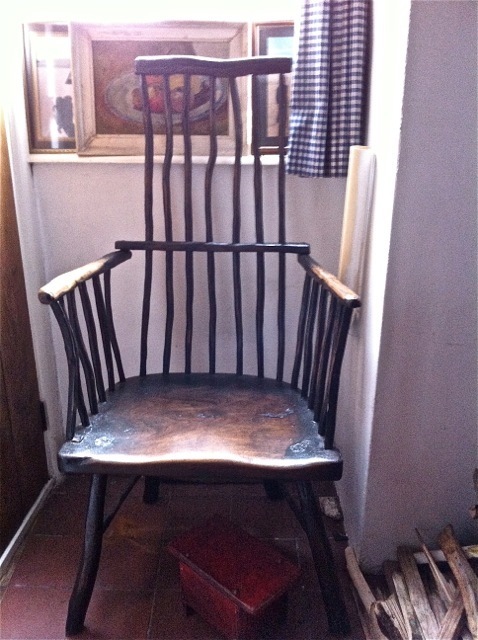 One of Simon's handmade drift wood chairs. 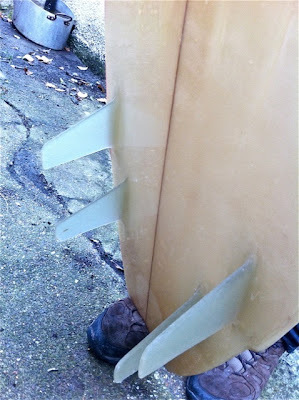 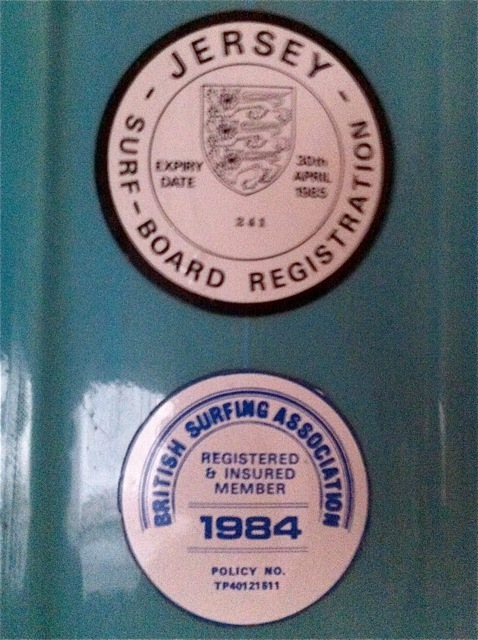 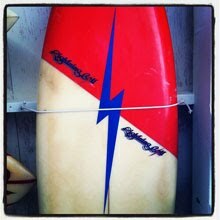 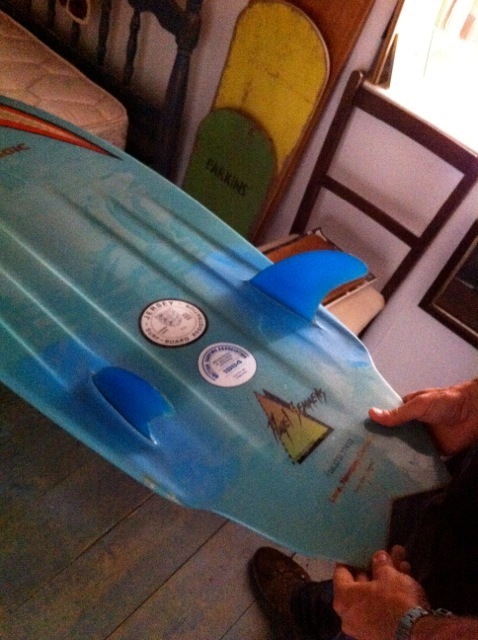 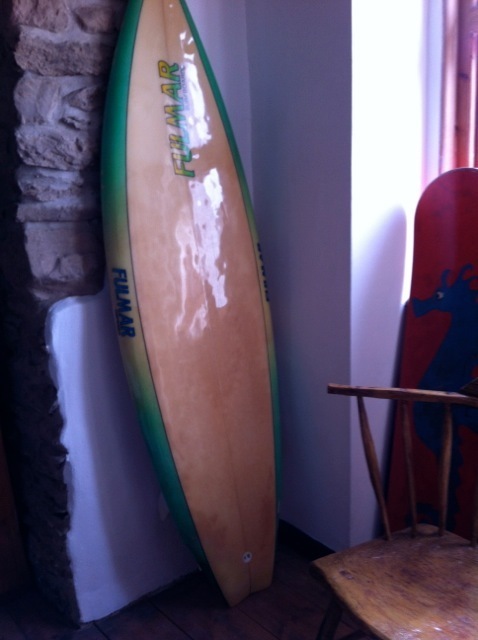 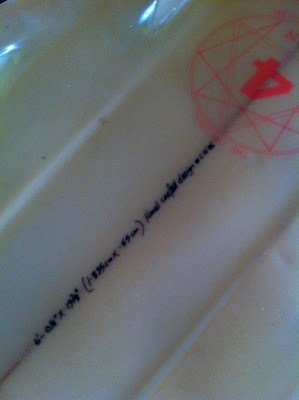 80's UK twin fin with rego stickers intact. 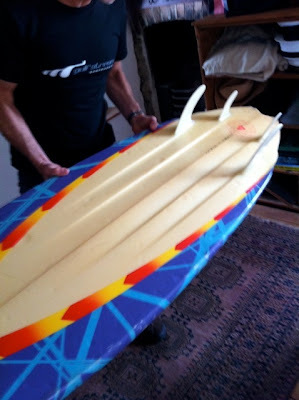 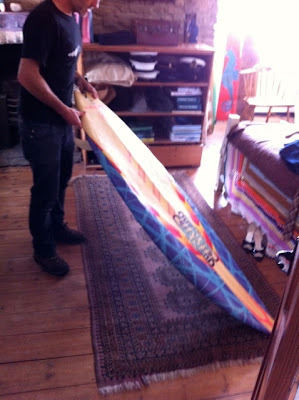 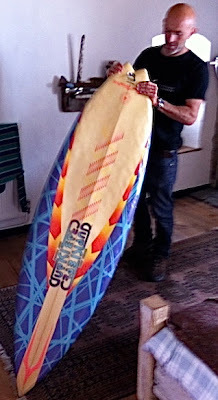 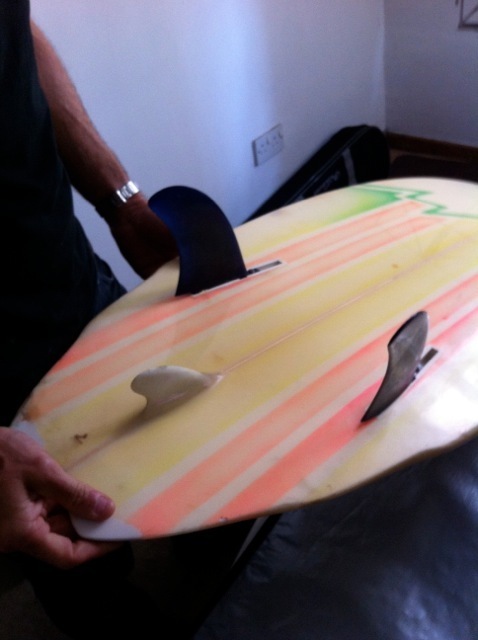 I got very excited when Simon took me to his board room to show me his iconic 80's UK surf classic. 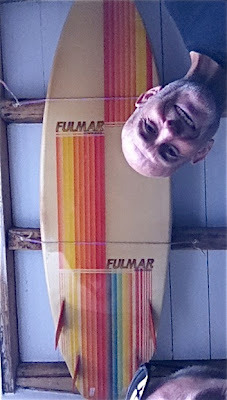 His flouro paint Crawlyn Williams Adler twinzer. 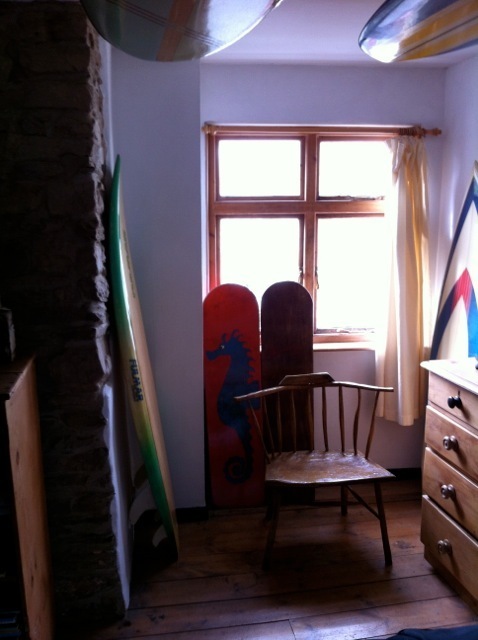 Drift wood chair and vintage Surf-o-panes and quad fin. 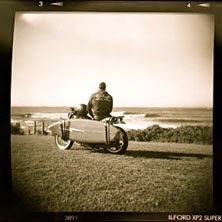 I really enjoy you Blog. 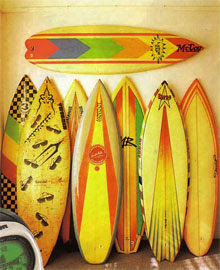 I worked for a manufacturer in the late 1970's through to the mid 1980's and saw a lot of these types of boards pass through the ding shop. 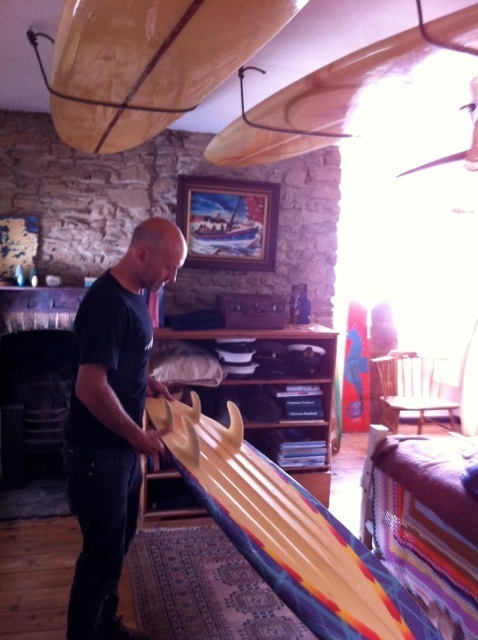 We made a few as well! 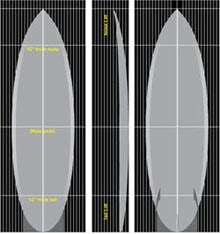 I recently started making boards again for a hobby, and have been exploring these design principles, with a few modern tweaks, just see if they translate in the modern era. 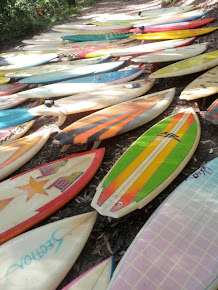 Its great to see all of your original boards. 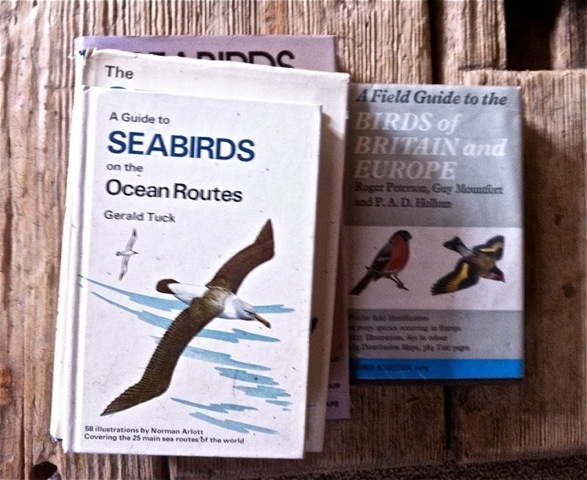 It's memory lane (and food for thought for me)!